Strolling westwards from the Bundestag, across the parkland which occupies much of this part of Berlin, one would be forgiven for thinking that the circus had come to town because there is a vast ‘Big Top’ semi-permanent circular tented structure that has arisen. 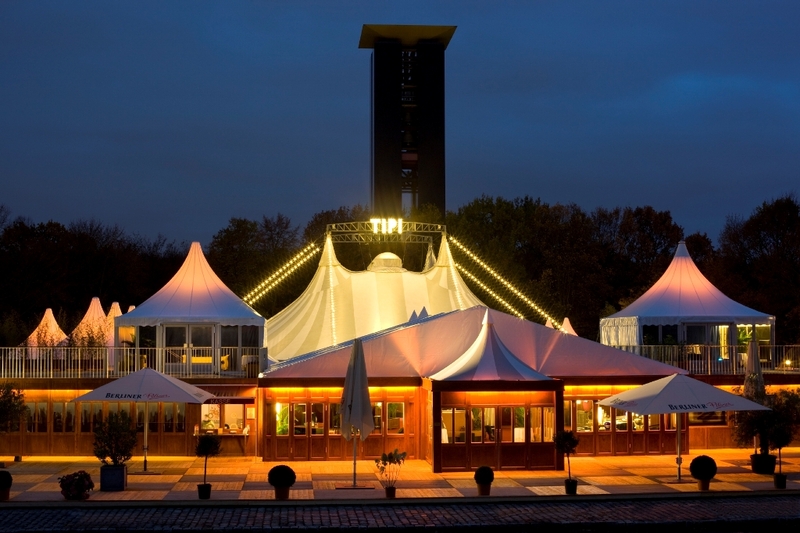 This is Tipi am Kanzleramt, a restaurant/theatre, similar in style to what used to be The Talk of the Town in London, where, as well as dining, one can see a show, usually variety, occasionally a musical, such as Cabaret. Between October 2016 and January 2017, the venue is staging its first operetta, Lincke’s Frau Luna, in a new production by Bernd Mottl, whose previous operetta productions include Fantasio at Karlsruhe and Die Csardasfürstin at Cologne. 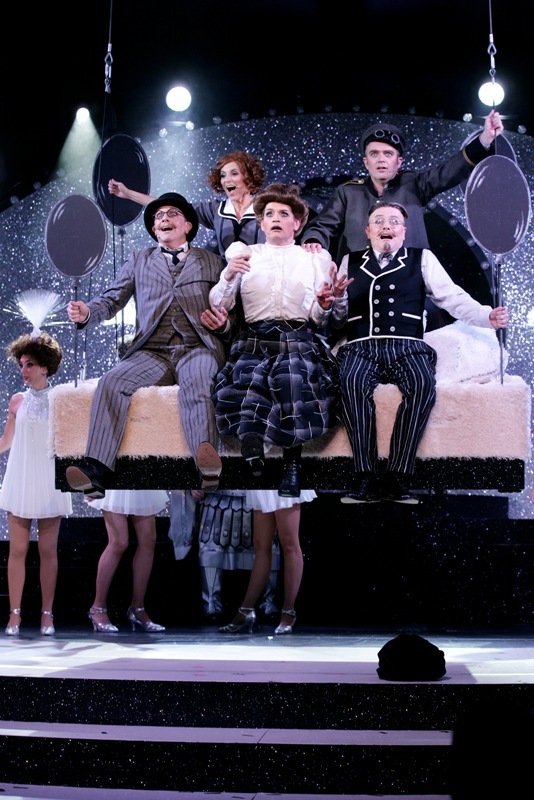 He has a great sense of the style needed to make this type of show relevant to a C21 audience – clearly influenced by recent operetta productions by Barrie Kosky and others at Komische Oper Berlin. In his hands, the work has tremendous energy and sense of fun, both of which are strongly communicated to the audience throughout. The plot, influenced by Jules Verne, concerns Fritz Steppke’s (a put-upon Benedikt Eichhorn) successful efforts to fly to the moon in a bathtub powered by balloons, only to be initially disappointed when he arrives to find that there is no Man-in-the-Moon, ‘only’ a woman: Frau Luna; in the Tipi production a gorgeously outrageous and sumptuously costumed Andreja Schneider. However, he misses his sweetheart, Marie, played by Sharon Brauner, with the smokiest voice I have ever heard!, and he decides to return to earth, this time on a bed! The story is much more involved than this, but Kurt Ganzl tells it much more clearly than I can! Marie’s aunt, and Steppke’s landlady, also manages to hitch a lift to the moon. She is portrayed with élan by Christoph Marti, who is able to look totally relaxed and at ease throughout, yet is totally in command of the entire building, as well as belting out some well- and lesser-known songs. He/she has great charisma and charm. Others who particularly impress (and there is not a weak link in the cast) are the eight exceedingly adorable and attractive young ladies who sing, dance and act with so much enthusiasm that they must be totally exhausted afterwards! The small semi-circular stage is particularly well used by both the director and choreographer(Christopher Tolle), especially when one considers that there is no wing space at all. Set design (Friedrich Eggert) is imaginative, taking in the front of the restaurant bar as well, and as I have already intimated, costumes(Heike Seidler) are often spectacular, always appropriate, and add to the organized mayhem of the occasion. The superb small orchestra, including a few strings, piano and tuba, provide strong support under the direction of Johannes Roloff. One can either get a combined reserved ticket for dining and show at Tipi, or an unreserved one without meal towards the rear of the Big Top, but even here one is very close to the action, at times perhaps too close! This sort of venue could not exist in the UK as ‘Health and Safety’ would not permit the tables to be crammed in quite so tightly as they are at Tipi, but this actually helps the atmosphere in the venue: clearly, everyone was having a marvelous evening, as I was, and one could tell that all Berliners present were waiting with baited breath for each reprise of “Berliner Luft,” if only so that they could join in! For those in the audience from the UK, the most recognizable number is probably “The Glow Worm,” erotically put over by Cora Frost in the role of Venus. 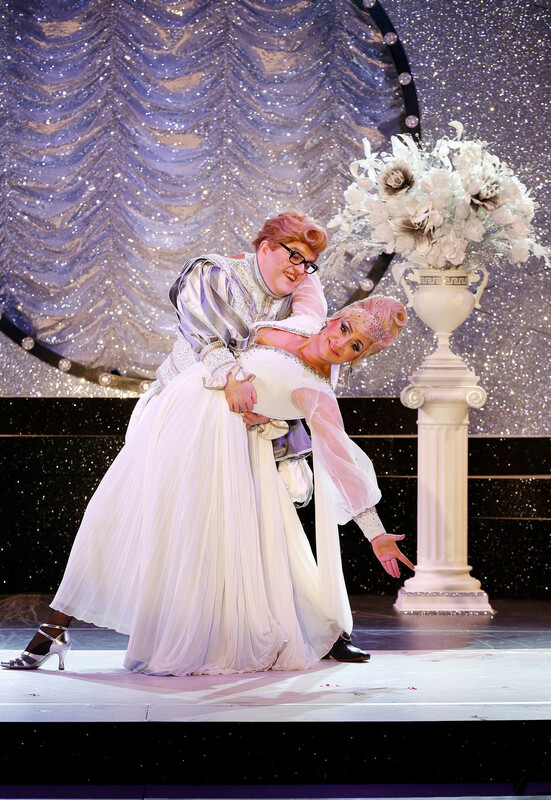 For performance dates, cast listings and tickets, click here.